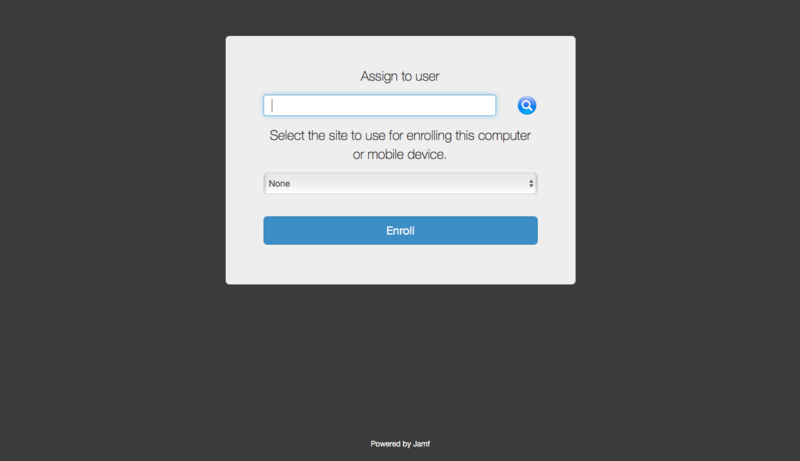 When a user accesses the enrollment URL they are guided through a series of steps to enroll the computer. The steps vary depending on the version of macOS installed on the computer being enrolled. 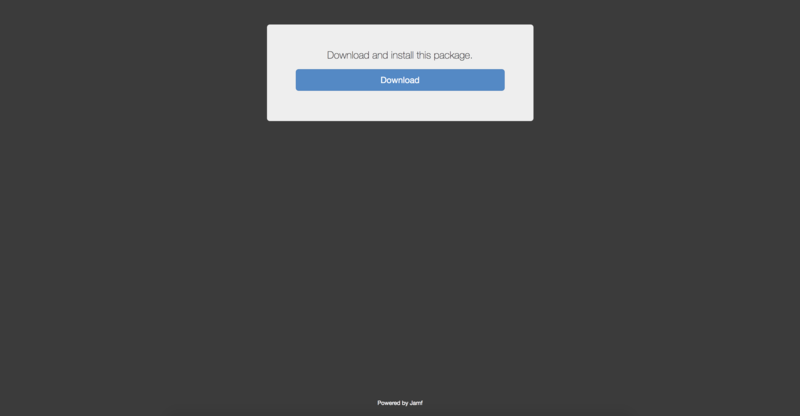 The user is prompted to enter credentials for an LDAP directory account or a Jamf Pro user account with user-initiated enrollment privileges, and then they must click Log in. 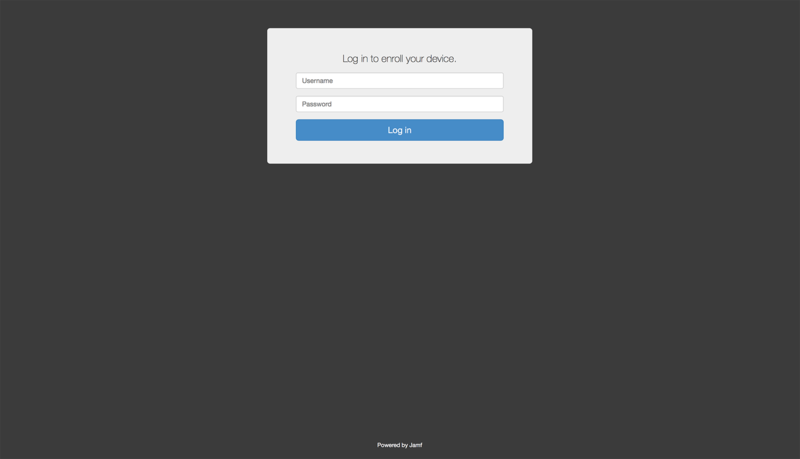 The login prompt is not displayed if the enrollment portal was accessed via an enrollment invitation for which the Require Login option is disabled. For more information about enrollment invitations, see User-Initiated Enrollment for Computers. If the user is associated with multiple sites, they must select the site that will assign the appropriate settings to the computer. 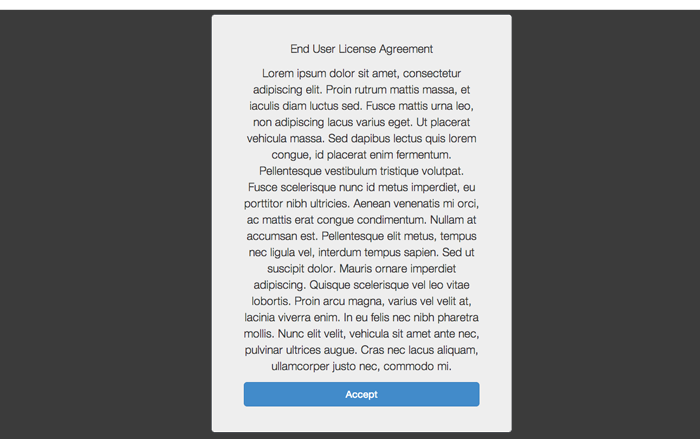 If the user signed in with an LDAP directory account and the text for an End User License Agreement (EULA) was entered in Jamf Pro, the user must accept the EULA to continue. 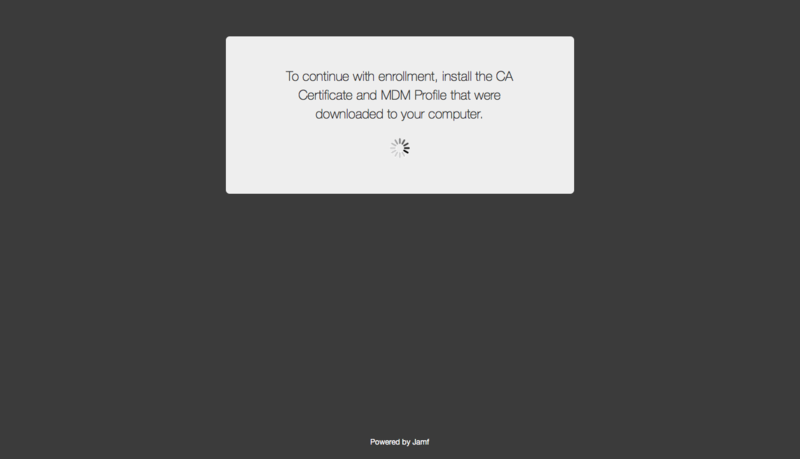 When prompted, the user must download the CA certificate and MDM profile. 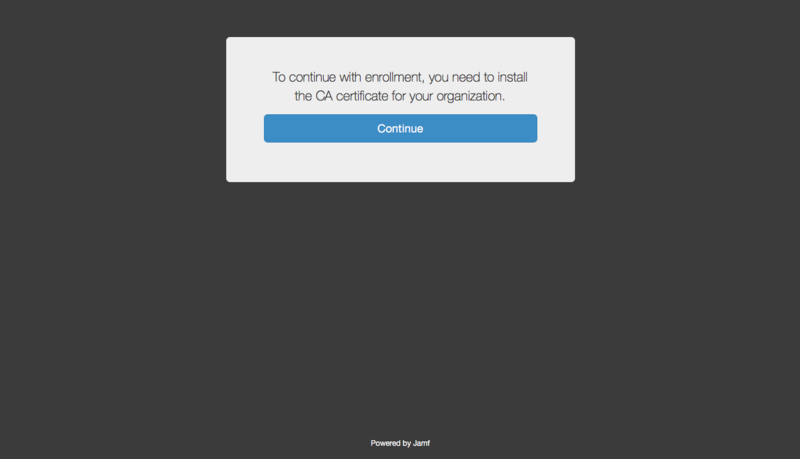 Double-click the downloaded CA certificate and wait for the installation process to complete. Then, double-click the downloaded MDM profile and wait for the installation process to complete. Note: Users must manually return to the enrollment portal webpage after CA certification installation to install the MDM profile and complete the enrollment process.